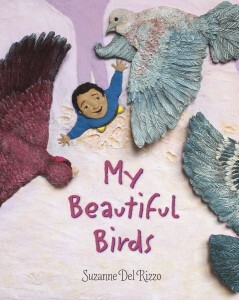 “In My Beautiful Birds, author-illustrator Suzanne Del Rizzo offers a poignant story of a Syrian child refugee traumatized by leaving his cherished pigeons behind. It is a tale of sorrow and suffering and promise, and beautifully rendered in Suzanne Del Rizzo’s distinctive art…. 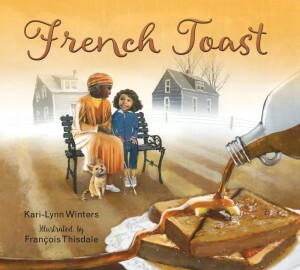 “I have always enjoyed reading rhyming text out loud to groups of unsuspecting story time children as the atmosphere of the story unfolds in a rhythmic manner and comes alive when I do. The pace and anticipation of the story is set through the author’s clever ability to create the mood with simple words. The dark mood of the man in the story is felt by the quick and short sentences within the rhyming text, and it seems to become more urgent with every step that he takes through the stormy streets of Paris. 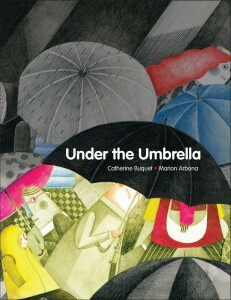 When the worst of all things happens and his umbrella is blown from his hands, the man encounters a young boy who transports him to a better place, a place that is bright and warm where the rhythm of the rhymes has changed the atmosphere to illustrate a luxurious longing for the treats in the shop window…. 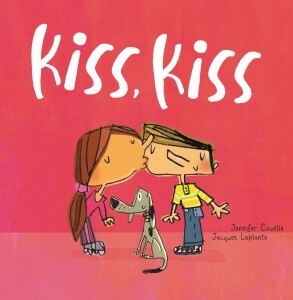 The writing and illustrations in this book complement each other well and work together to highlight the special moment that the two characters share. One could say that they are in the calm of the storm before heading back out to continue their day. 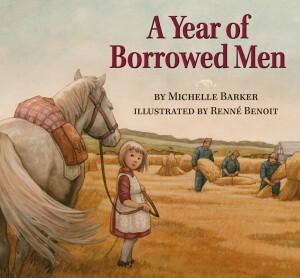 This story can be read with a group or shared with one child quite successfully….